Over 1,400 Articles Posted! Nearly 170,000 People Downloading A Salvation Page Per Year! You Will Never Read The Gospels The Same Way Again! Israel today is a study in the faithfulness, the Omnipotence, and Omniscience of God. He foretold 2,500 years ago how He would bring Israel back to her land. Your faith will clearly be built up by this study. Most exciting study in light of current events in Israel! This combination offer has three (3) Cutting Edge seminars on one MP3 CDROM, our most popular seminars ever. 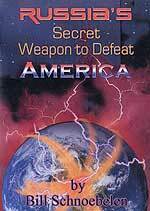 Seminar 1, "America's Leadership of the New World Order", shows why this formerly Christian country could become the leader of the Satanic New World Order effort. Seminar 2, "America Determines The Flow of History", looks carefully at our national history and discovers that our Founding Fathers had a hidden agenda which set this country on the path of leadership of the Kingdom of Antichrist. Listen to great Christian Music online in our Listening Center. Sample our books before you buy. VOLUME 2 -- "Riddles In Stone: The Secret Architecture of Washington, D.C."
Chris Pinto has just called me to tell me that he has now written the finish to "Riddles In Stone". This finish will tie up all loose ends left from Video 1, "The New Atlantis" and Volume 2, "Riddles In Stone". We have said all along that the architecture, the sculptures, the paintings, and the street designs all tell a unified, single story. That story is that our nation's Capitol was designed by occultic Rosicrucian and Freemason Founding Fathers for the express purpose of America becoming the occult nation, "New Atlantis", so she can gradually lead the world into the global New World Order, where the Masonic Christ will rule for 1,000 golden years! THAT is the unified story, as the man, "Destiny", fulfills his most important symbols, the Pentagram, the All-Seeing Eye, the uncapped pyramid, and the Double-headed Phoenix Bird. You will not believe this ending! You will also be on the hot seat, awaiting Volume 3, "Eye of The Phoenix". If you want to learn more about this intriguing subject, so you can understand "Riddles In Stone" more clearly, consider the three books showing in the upper right panel. While this second volume takes the subject matter taught in these three books into a deeper consideration, you would be well advised to at least know the basic facts that these three books teach. For all pertinent information concerning this Pre-Publication Sale, click on this hot link now. Israel's weary wanderings were all over, and the promised rest was attained. No more moving tents, fiery serpents, fierce Amalekites, and howling wildernesses: they came to the land which flowed with milk and honey, and they ate the old corn of the land. Perhaps this year, beloved Christian reader, this may be thy case or mine. Joyful is the prospect, and if faith be in active exercise, it will yield unalloyed delight. To be with Jesus in the rest which remaineth for the people of God, is a cheering hope indeed, and to expect this glory so soon is a double bliss. Unbelief shudders at the Jordan which still rolls between us and the goodly land, but let us rest assured that we have already experienced more ills than death at its worst can cause us. Let us banish every fearful thought, and rejoice with exceeding great joy, in the prospect that this year we shall begin to be "for ever with the Lord." A part of the host will this year tarry on earth, to do service for their Lord. If this should fall to our lot, there is no reason why the New Year's text should not still be true. "We who have believed do enter into rest." The Holy Spirit is the earnest of our inheritance; He gives us "glory begun below." In heaven they are secure, and so are we preserve in Christ Jesus; there they triumph over their enemies, and we have victories too. Celestial spirits enjoy communion with their Lord, and this is not denied to us; they rest in His love, and we have perfect peace in Him: they hymn His praise, and it is our privilege to bless Him too. We will this year gather celestial fruits on earthly ground, where faith and hope have made the desert like the garden of the Lord. Man did eat angels' food of old, and why not now? O for grace to feed on Jesus, and so to eat of the fruit of the land of Canaan this year! I. As Former Gerald Ford was laid to rest after nearly a week of ceremonies extending from Coast to Coast, we need to remind ourselves how deeply Illuminati Mr. Ford truly was. As we revealed in a recent newsletter, Gerald Ford was a member of the deepest, darkest, and most influential Illuminati bodies in the entire world -- the Bilderberger Group! This select group of men meets once yearly, usually in Europe, to ensure that the next year's events are going to occur as they have been planned. Iraq is a very good example of the planning capabilities of the Bilderberger Group. 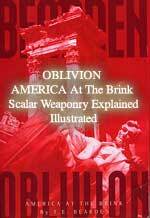 Former Satanist and Freemason, Bill Schnoebelen, told me specifically shortly after Coalition Forces invaded Iraq in March, 2003, that this invasion was planned at the Bilderberger Group meeting in 1954! The invaluable research book, "Who's Who of the Elite", by Robert Gaylon Ross, Sr., lists Gerald Ford as a member of both the Bilderberger Group and the Council on Foreign Relations (CFR), page 111. However, Gerald Ford was also a 33rd Degree Shriner Mason, as we now turn our attention to this fact. 1) Ford was a Shriner-Mason when he was a member of the Warren Commission, set up to "investigate" the slaying of President John Kennedy. 2) Gerald Ford, destined to become President after Nixon resigned, was not only a Shriner Freemason as reported by Vatican Assassins, but was also a member of the Bilderberg Group, one of the major Illuminist governing bodies. Now, let us examine just how important Freemasonry was to Former President Ford. "President Gerald R. Ford was Initiated in Malta Lodge No. 465 in Grand Rapids, Michigan on September 30, 1949. Columbia Lodge No. 3, District of Columbia, conferred the degrees of Fellowcraft and Master Mason on Brother Ford as a courtesy to Malta Lodge on May 18, 1951. Brother Ford's father, Gerald R. Sr., a 33rd degree Mason presented the lambskin apron." * "Initiated: September 30, 1949, Malta Lodge No. 465, Grand Rapids, Michigan, along with his half-brothers Thomas Gardner Ford (1918-1995), Richard Addison Ford (1924-) and James Francis Ford (1927- )." * "He received the Scottish Rite degrees in the Valley of Grand Rapids in 1957 and created a Sovereign Grand Inspector General Honorary 33rd degrees, Northern Masonic Jurisdiction, in 1962." * "Joined Saladin Shrine Temple, A.A.O.N.M.A.S. in 1959." * "Honorary Member, DeMolay Legion of Honor." 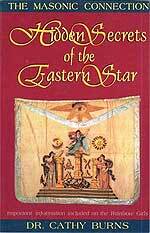 * "But his first services to Freemasonry came way before this when he was selected for the Eastern Team on the Shriner's East West Crippled Children game at San Francisco. This was on January 1, 1935." We now know at least that Gerald Ford was not the only member of his family to join Masonry. three of his half-brothers also joined. * "The Fellowcraft and Master Mason Degrees were Conferred by Columbia Lodge = No. 3, Washington, D.C., on April 20 and May 18, 1951, as a courtesy to Malta Lodge." * "Brother Ford was made a Sovereign Grand Inspector General, 33°, and Honorary Member, Supreme Council A.A.S.R. Northern Jurisdiction at the Academy of Music in Philadelphia, on September 26, 1962 ... "
Now, we know that, at the time he was appointed to the Warren Commission on November 29, 1963, Gerald Ford was a 33rd Degree Mason, and a trusted member of the inner elite of the Illuminati. Just 7 days following Kennedy's assassination, President Lyndon Johnson named the members of the whitewash Warren Commission, whose job was to make people believe that Lee Harvey Oswald acted alone in the murder of our President. Sadly, Gerald Ford was a member of that commission! THAT is his true legacy to this nation -- participating in one of the greatest single instance of official lying to the world in our history. While he was one of the most affable Presidents, and certainly a welcome relief from the dour President Nixon, but he was most certainly an inner member of the Global Elite. II. North Korea was said to be preparing a third nuclear detonation test, thus reaffirming the reality that the world is at the "end of the period"! "North Korea appears to have made preparations for another nuclear test, according to U.S. defense officials. 'We think they've put everything in place to conduct a test without any notice or warning," a senior U.S. defense official told ABC News. The official cautions that the intelligence is inconclusive as to whether North Korea will actually go ahead with another test but said the preparations are similar to the steps taken by Pyongyang before it shocked the world by conducting its first nuclear test last Oct. 9." During the run-up to this first test on October 9, American intelligence officials repeatedly threw cold water on the possibility that North Korea could possibly conduct a nuclear test. In fact, when North Korea actually did explode their nuclear device, the proverbial egg splattered all all over Uncle Sam's face. With this thought in mind, let us return to our featured article. "Two other senior defense officials confirmed that recent intelligence suggested that the North Koreans appear to be ready to test a nuclear weapon again, but the intelligence community divides over whether another test is likely. 'That would surprise me', a senior intelligence official said when asked if North Korea is likely to soon conduct another test. Another official had a different view, predicting North Korea would conduct a test sometime over the next two or three months." "In the weeks before the Oct. 9 test, U.S. spy satellites witnessed the unloading of large cables at a suspected test site in P'onggye, in northeastern North Korea. The more recent activity has been observed in the same area as the Oct. 9 test .. North Korean Premier Yon Hyong Muk told the Security Council that the country needed nuclear weapons to protect itself from the danger of war with the United States, and that the Bush administration has responded to North Korea's "patient and sincere" efforts with sanctions and blockades. He said North Korea saw continued pressure from the United States as a declaration of war. North Korean Gen. Ri Chan Bok told ABC News anchor Diane Sawyer that "the U.S. wants us to kneel down before them. We cannot agree with them. If this tension continues war cannot be avoided." Please take note of the part the nuclear crisis which North Korea is scripted to fulfill in the Illuminati Plan for the World War III which will produce the Masonic Christ on the world scene. With all this nuclear test rhetoric now occupying our Daily News, we know that the world is truly "at the end of the period"! What "period"? 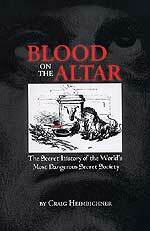 The period leading up to the Third World War designed to produce the Masonic Christ (Antichrist)! III. As President Bush shakes up his Cabinet and his generals, we must understand that he is preparing to do something -- is his plan to "surge" American troop levels, to initiate action in Baghdad, or to face foreign intervention? You might be surprised to learn the possibilities. "Adm. William Fallon, who takes over the Central Command from Gen. John Abizaid, is qualified for offensive operations, especially in naval and aerial combat. The new Iraq strategy which the US president is due to unveil next week - and is geared to victory rather than exit - could bring US troops into clashes with Iran and/or Syria in the Persian Gulf, the Arabian Sea or the eastern Mediterranean." "Democratic leaders Senate leader Harry Reid and Speaker Nancy Pelosi are urging the US president to reject US troop increases in Iraq and opt for redeployment." "On the military side, Gen. David Petraeus, who compiled a new U.S. military manual on fighting insurgencies, with stress on understanding local norms, succeeds Gen. George Casey in command of American forces in Iraq." "In Washington, retired Admiral Mike McConnell takes over as director of national intelligence replacing John Negroponte who becomes deputy secretary of state ..."
Understanding the complexities of the war in Iraq, and understanding that our troops are undermanned by at least 60%, it is difficult for me to understand how any reorganization of the forces on hand could result in a military victory. 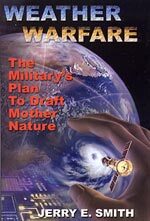 However, if America planned to use any of its advanced Weapons of Mass Destruction, then all bets are off, as America could win a military victory with electromagnetic weapons like HAARP. 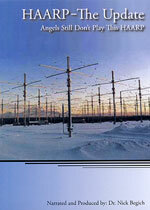 The only question then becomes how far Russia would allow America to use her electromagnetic weapons, for she has the much superior Scalar Weaponry which would halt any American HAARP offensive in its tracks. Let us look at another article which addresses the issue of President Bush firing his senior Iraq commander. "WASHINGTON- General George Casey, the United States' Army's senior commander in Iraq, will most likely be forced to pay the price of President George Bush's strategic failures in the war in Iraq. The New York Times reported that President Bush plans to fire the general, who was supposed to complete his service this coming summer, within the next few weeks ... The report said that Bush did not like his commanders' strategy, which aimed for retreat without victory, and Bush is taking advantage of the replacement of Secretary of Defense Rumsfeld with Robert Gates in order to get rid of Rumsfeld's senior general in Iraq as well." What is the end goal for which the President is seeking? "American Generals agree: Bush doesn’t want withdraw, he wants victory." Now, let us examine another article in which an analyst speaks to the issue as to whether American troops in Iraq can really undertake much more of an offensive than the onesin which they are already engaged. "President George W. Bush included in his Christmas 2006 wish list a larger Army and Marine Corps. While it is admirable that the Commander in Chief longs for a larger military, many are concerned that the current one will soon reach the breaking point ... In the very real war in Iraq, we may well be reaching the breaking point of the all-volunteer Army and Marine Corps. Equipment, morale, and durability are at stake. The Iraq War may well be breaking Private Ryan." "The Brookings Institution's Michael O'Hanlon, recently interviewed on a local D.C. radio program, suggested the Army and Marine Corps are nearing their 'breaking point' ... Mr. O'Hanlon said that the all-volunteer Army and Marine Corps have held up thus far, a surprise for many considering the ongoing burdens of Afghanistan, Iraq, and the global war on terror. However, a breaking point is nearing though when that will happen no one can tell for certain, argued Mr. O'Hanlon." If you don't believe this journalist, listen to a Pentagon official sound the same type of warning. "Back in January, a 136-page report written for the Pentagon by retired Army officer Andrew Krepinevich stated that the Army was overextended and 'concluded that the Army cannot sustain the pace of troop deployments to Iraq long enough to break the back of the insurgency' .. it is important to note that the past three months, October through December 2006 have produced some of the highest U.S. casualties since the Iraq War began in March 2003. If the Army and Marine Corps were nearing a breaking point back in January 2006, in what condition will they be by mid-2007? The prospects look grim." "... the wear and tear on equipment and drain on morale are taking their pernicious toll despite low battlefield casualties. In fact, the low casualty figures are themselves deceptive ... There are three things at stake for the Army and Marine Corps: Equipment breakdown, war-fighting strategy, and morale. The latter two are going through severe testing; the military has competently adjusted with new, evolving strategies. High morale continues as witnessed by recent recruiting successes. It is the expensive, high-tech-and-maintenance aspect of the Army and Marine Corps that is in danger of hitting the breaking point first." In other words, our ground forces are experiencing real difficulties keeping our high-tech equipment in battle-ready condition. A tank does not have to be destroyed in order to remove its battlefield effectiveness; all that has to happen is for the military to not have critical part(s) on hand to maintain that tank. This is the issue to which we are speaking right now; this is the Achilles Heel right now for the American Army and Marine Corps. "Before the twin wars in Afghanistan and Iraq, the Army spent on average between $2.5 and $3 billion annually on repairs to armored and support vehicles, helicopters, artillery pieces and such ... the Army now spends upwards of $19 billion annually to cover the costs of wear and tear on equipment. The grinding duration of a war in which the enemy deploys low-cost, homemade improvised explosive devices (IEDS) that frequently take out men ... and expensive equipment has placed the Army closer to a breaking point now than two years ago ... as the war has continued, Army leaders have recognized that they cannot afford to wait for a draw down of troops before they begin overhauling equipment -- some of it 20 years old -- that is being used at extraordinary rates. Helicopters are flying two or three times their planned usage rates. Tank crews are driving more than 4,000 miles a year -- five times the normal rate. Truck fleets that convoy supplies down Iraq's bomb-laden roads are running at six times the planned mileage, according to Army data." Now, listen to the incredible numbers of military vehicles sitting, awaiting repairs in the U.S., having been shipped back from the battlefields of Iraq and/or Afghanistan. "Equipment shipped back from Iraq is stacking up at all the Army depots: More than 530 M1 tanks, 220 M88 wreckers and 160 M113 armored personnel carriers are sitting at Anniston. The Red River Army Depot in Texas has 700 Bradley Fighting Vehicles and 450 heavy and medium-weight trucks, while more than 1,000 Humvees are awaiting repair at the Letterkenny Army Depot in Pennsylvania." "What is most disturbing about this grinding down of expensive, sophisticated military hardware that was intended for conventional conflicts ... the insurgents' cost effective guerrilla tactics have intensified. There now are more attacks than ever, not fewer." NEWS2176, "Are American Forces In Danger of Bloody Defeat In Iraq On A Scale of "Waterloo"? Then, the Illuminati might just have the war they envisioned which would produce the final "Birth Pangs" to produce the Masonic Christ (Antichrist). This year, 2007, might just be a most interesting year! IV. The execution of "Saddam Hussein" is still producing shock waves throughout the Arab world. Let us examine some of the more interesting, and important, shock waves. "The execution of former Iraqi dictator Saddam Hussein, carried out at the start of the Muslim festival, Eid al-Adha has angered Iraqis and others across the Middle East. Saddam was hanged on what is held to be a day of mercy and feasting in the Islamic world. It is usually celebrated with the slaughter of a lamb, which represents the innocent blood of Ishmael, offered for sacrifice by his father, the prophet Abraham, to honour God ... the Kurdish judge who first presided over Saddam’s trial, told reporters that the execution at the beginning of Eid was illegal under Iraqi law, besides violating the customs of Islam. Amin said that under Iraqi law 'no verdict should be implemented during the official holidays or religious festivals'." 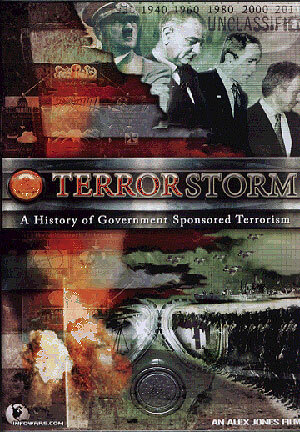 1) Since the goal of the American invasion is to split Iraq into three separate entities -- Kurds, Shi'ites, and Sunnis (DVD, "Terror Storm") -- one has to wonder if the Americans did not insist upon this date, in order to facilitate the civil war which is ripping Iraq apart, just as the Plan called for? 2) The top prime minister is Shi'ite, controlled by Iran. Saddam was Sunni, of the Baathist Party. Therefore, this execution can be seen as a return to ancient tribal warfare. "As attacks in Iraq increase and the US military death toll continues past 3,000, however, one must wonder if Bush is seeking to distract us from the truth that Saddam's execution is extremely dangerous and more of a setback to national unity than anything else. Instead of making a clean break with Iraq's bloody past, current Iraqi leaders have been blinded by sectarian loyalties and a primal desire to eliminate their former tormentors ... executing rulers after deeply flawed trials fed a spirit of vendetta and birthed new violence. Since the army overthrew the royal regime in 1958, Iraq has set a world record in the killing of its strongmen; Saddam and his henchmen perfected this murderous practice. Iraq's blood-soaked modern history has tormented the land and its people, and caused a rift within and among its ethnic and religious communities." "Saddam's sentence is widely seen as illegitimate, the product of a trial that was neither fair nor impartial. After his capture by US troops in an underground hide-out in 2003, Iraqi leaders said they wanted him dead - sooner rather than later. They clamored with one another for his blood, even though human rights organizations questioned the credibility of the court's proceedings. Bush aides lavishly praised the trial and final denouement. Ironically, Saddam was already politically dead and his bitter legacy disgraced. His hanging, coupled with his defiance, could only succeed in turning him into a martyr for Sunni Muslims and making it all too easy to recast him as a freedom fighter defending his country against the American occupation. Saddam, a dictator transformed into a war hero and symbol of resistance by the blunders of the Bush administration and the Shia-led government, must be laughing in his grave." Indeed, Saddam is now a martyr to the Sunni cause, having been lynched by his bitter sectarian enemies, the Shi'ites. Another country who must be all smiles over this situation is Shi'ite Iran. Now, they will not be faced with a united Iraq on its long border, and no longer has to fear another 10-year war! Their strategy of "Igniting Many Fires" seems to be bearing much fruit. V. As President Bush prepares his "new strategy" for Iraq, we are jolted by the realization that he has gathered around him some of the old Neo-Con crowd which started this war in the first place. "WASHINGTON — Ever since Iraq began spiraling toward chaos, the war's intellectual architects — the so-called neoconservatives — have found themselves under attack in Washington policy salons and, more important, within the Bush administration. Eventually, Paul D. Wolfowitz, the Defense department's most senior neocon, went to the World Bank. His Pentagon colleague Douglas J. Feith departed for academia. John R. Bolton left the State Department for a stint at the United Nations." It is sad, but true, within Washington, that a person who has failed miserably at one post is most often moved to another one. Even those who are "fired" can usually count upon either a new job within government, a new job in private industry, and/or a nice retirement package. "But now, a small but increasingly influential group of neocons are again helping steer Iraq policy .... This group — which includes William Kristol, editor of the Weekly Standard magazine, and Frederick W. Kagan, a military analyst at a prominent think tank, the American Enterprise Institute — was expressing concerns about the administration's blueprint for Iraq even before the invasion almost four years ago. In their view, not enough troops were being set aside to stabilize the country. They also worried that the Pentagon had formulated a plan that concentrated too heavily on killing insurgents rather than securing law and order for Iraqi citizens. These neoconservative thinkers have long advocated for a more classic counterinsurgency campaign: a manpower-heavy operation that would take U.S. soldiers out of their large bases dotted across the country and push them into small outposts in troubled towns and neighborhoods to interact with ordinary Iraqis and earn their trust." Even the new general "coming to town" has just written a new military manual on how to deal with insurgencies, and this new plan relies heavily upon the strategies, above. However, the question now is whether such an effort now might be "too little, too late". With the insurgency firmly entrenched and with civilians exceedingly angry with American troops and policy, it just might be too late to try this new, softer approach, a strategy which might have worked had it been implemented in early April, 2003, shortly after Baghdad was captured. 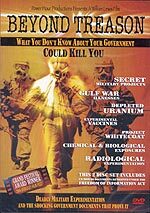 Remember, also, as the DVD, above, "Beyond Treason" demonstrates that most Iraqi civilians now know that the United States has deliberately irradiated them and their country to fatal levels of Depleted Uranium. Thus, at this late stage, even a softer approach is unlikely to win many civilians over to the American side. The leadership of our national government -- on both sides of the political aisle -- is nothing more than hippies in three-piece suits! "Ms. Pelosi is a huge Dead fan. (A spokeswoman for House Speaker Nancy Pelosi, regarding Pelosi's affinity for the Grateful Dead, whose surviving members will appear at a fund-raiser). The presence of lobbyists and other contributors was indeed not limited at the host of fund-raisers this week, including this evening's event thrown by Pelosi. The NYT describes it as a '$1,000-a-head fund-raiser with performances by Tony Bennett, Carole King, Wyclef Jean and the surviving members of the Grateful Dead. 'Ms. Pelosi is a huge Dead fan,' her spokeswoman said." As if the news was not bad enough, i.e, that the new House Majority Leader is a strong fan of the "Grateful Dead" acid rock group, we then discover that the new leader of Senate Democrats, Senator Harry Reid, is also an obsessive Deadhead. "Nevada U.S. Senator Harry Reid will become the majority leader of the U.S. Senate when the new Congress convenes in January. It is the highest political position ever attained by a Nevadan ... You can learn plenty about a person by walking around in their home. Sen Harry Reid said, 'Here, I'll show you the bathroom. This is my prized possession, a signed poster of the Grateful Dead'. Harry Reid, a deadhead? Can it be true?" Indeed, we Christians now have to face the fact that the current leadership of our national government, on both sides of the aisle, are simply hippies who have changed into respectable clothes! We agonized over the Bill Clinton days, when Bill and Hillary seemingly could not get over their Vietnam War era hippie mentality. 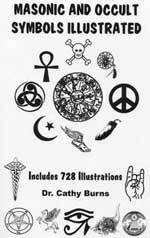 We further agonized when President Bush honored the Satanic hard rocker, Ozzy Osbourne, twice in a 30-day period in mid-2002 (See NEWS1758, described above, for details and pictures). However, there is a big difference between Ozzy Osbourne and "The Grateful Dead". Ozzy was a Satanic hard rocker who seemingly loved to shock his audience with his antics on stage. He bit the heads off birds and he glorified Satanic themes in his music. One of his songs, "Bloodbath in Paradise" actually glorified the Sharon Tate ritual murders! That is the rocker which President Bush and his mother love and publicly adore. "The Grateful Dead", on the other hand, was a drug-glorifying rock band. They encouraged their followers to take all sorts of drugs: Marijuana, Heroin, and LSD, to name just a few. Jerry Garcia was the masterful leader of this band, encouraging untold millions of people to take drugs, rebel against constituted authority, and just "trip out". The President glorifies Ozzy Osbourne, while our Democrat leaders in the new Senate glorify Jerry Garcia. Both of these rockers are leading their followers straight into the spiritual, eternal Abyss. VII. President Bush just initiated a "Regime Change" in Somalia. Did you notice? "By its ill-judged invasion of Somalia, Ethiopia has become an accomplice in Bush's war on terror. If the 20th century taught us anything, it was that powerful armies can be brought to their knees by small groups of fighters who are not afraid to die. Small Vietnam humiliated mighty America, and the "stone-age" mujahideen of Afghanistan sent the Soviet army packing. With all this so apparent, why has the Ethiopian prime minister, Meles Zenawi, sent his army into Somalia?" "The crisis has now escalated sharply with the deployment of US naval forces to prevent UIC (Union of Islamic Courts) fighters from fleeing ... But the routed UIC, although weakened by internal squabbles, will seek safe havens nearby, regroup and woo back its supporters. The UIC knows that when faced with a conventional army backed by an airforce, the best option is to disappear into the undergrowth or behind the desert dunes. The Somalis have been "disappearing" like that for centuries, always coming back to harass those who claim to have defeated them." "The UIC is also said to be receiving financial assistance from rich leaders of sympathetic Islamic sects, drawn from such countries as Saudi Arabia, Yemen and the Gulf sheikhdoms. And the most explosive fuel will be the involvement of the US on the side of Ethiopia. General John Abizaid, commander for the US central command, is reported to have visited Ethiopia last month, after which Ethiopia moved from providing the Somali government with "military advice" to open armed intervention." "The US objective is to safeguard access to the Red Sea for its oil tankers, and to prevent al-Qaida cells being nurtured in Somalia or in Ethiopia, which has a sizeable Muslim minority. Now, by allowing the US to persuade it to invade, Ethiopia has signalled to the Islamic world that it is willing to join the US in its 'war on terror'. Can Ethiopia afford to be universally regarded as a US puppet?" In understanding why Ethiopia might militarily intervene in Somalia, I had only to look at a map of the region. 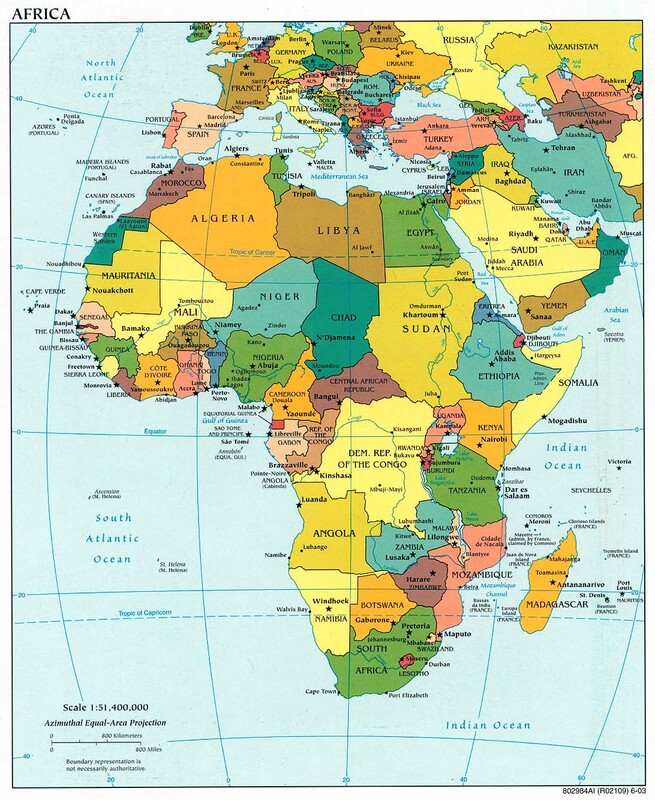 Ethiopia is bordered on the West by Sudan and on the East by Somalia. Christians have been slaughtered in Sudan for a very long time now, while similarly minded Islamic fighters had just taken operational control of Somalia. As we check with Wikipedia Encyclopedia, we discover that Ethiopia is a Christian nation. "Ethiopia is the only country in Africa with an unbroken sovereignty and is one of the oldest continuous nations in the world. Recently regarded as "the cradle of mankind", Ethiopia is also the second-oldest official Christian nation in the world, after Armenia. It has long been an intersection between the civilizations of North Africa, the Middle East and the rest of Africa." It is probable that Ethiopia agreed to do President Bush's bidding in overthrowing the Union of Islamic Court fighters in Somalia because she did not want to be bordered on both West and East by hostile Islamic forces. In understanding the Islamic murderous mindset against Christians, the leaders of Ethiopia had only to review the systematic Islamic slaughter of Christians which has been occurring in Sudan for a very long time. For this reason, and because Somalia is so geographically important, Ethiopia agreed to President Bush's "Regime Change" plan against Islamic forces in Somalia. In following news stories of the Ethiopian Army campaign against the Islamic fighters, I was struck by the modern equipment which Ethiopia has: MIG fighter planes and armored vehicles. I could only marvel that the ancient nation of "Cush" (Ethiopia) is listed as one the nations from the south marching with the Russian-led armies attacking Israel at the End of the Age (In fulfillment of Ezekiel 38-39)! Thus, one more prophetic plank seems to be falling into place. Modern Ethiopia (Ancient Cush) now possesses a modern military capable of extending her power over her own border. However, when Ethiopia marches against Israel as the prophecy states, she will turn her army north, through Sudan and Egypt before crossing the Suez over to Israel. To understand the complexities of this Ezekiel 38-39 prophecy, read our fascinating article, NEWS2177, entitled, "Iranian State Media Declares That The Appearance of The Shi'ite Messiah Is Imminent!". Can you hear the rumble of that coming army, from just beyond the horizon? The 2,500-year prophecy of Ezekiel 38-39 draws ever closer! 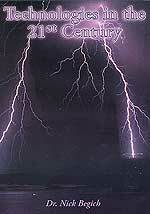 NEWS2177 - "Iranian State Media Declares That The Appearance of The Shi'ite Messiah Is Imminent!" Cocky tone of voice leads one to believe that the major reason Iran is so unafraid of the United States, even as President Bush continually threatens a strike against nuclear facilities of that Islamic country! They are awaiting their Messiah! Just as the Jews are awaiting their Messiah, so are the Muslims! The Bible tells us that he will be the very same man -- the Son of Perdition! NEWS2176 -- "Are American Forces In Danger of Bloody Defeat In Iraq On A Scale of "Waterloo"? "Evidence on the ground" suggests that Iraqi Insurgents, led by Iran, may be about ready to cut vulnerable supply lines from Kuwait to Baghdad, thus denying American forces basic supplies of fuel and ammunition needed to fight effectively. If such a bloody defeat is inflicted on American forces, the process of discrediting President Bush will be nearly complete (Read NEWS1929). NEWS2175 -- "NAFTA Taking Shape As A Nation - Currency Upheaval Prelude To Abandoning US Dollar, Replacing It With "Amero"! Since 1997, Cutting Edge has followed the painstaking plan to eliminate Mexico, United States, and Canada so a newly merged nation called NAFTA (North American Free Trade Association) could take shape as a real nation -- with its own legislature, own president, own court system, own laws and most importantly, its very own currency! Remember the motto of 33 degree Masonry - "Ordo Ab Chaos"--"order out of chaos." 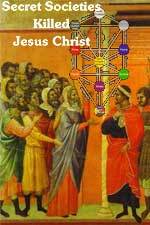 Bring financial chaos, then bring in the new, desired currency. 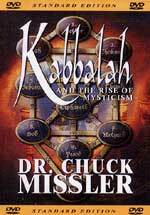 P269 - "PERFORMING MIRACLES: Is It God’s Exclusive Ability?" In other words, if we see a genuine miracle, are we to automatically believe it was performed by God? 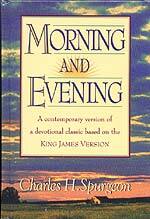 This morning our desires went forth for growth in our acquaintance with the Lord Jesus; it may be well to-night to consider a kindred topic, namely, our heavenly Joseph's knowledge of us. This was most blessedly perfect long before we had the slightest knowledge of Him. "His eyes beheld our substance, yet being imperfect, and in His book all our members were written, when as yet there was none of them." Before we had a being in the world we had a being in His heart. When we were enemies to Him, He knew us, our misery, our madness, and our wickedness. When we wept bitterly in despairing repentance, and viewed Him only as a judge and a ruler, He viewed us as His brethren well beloved, and His bowels yearned towards us. He never mistook His chosen, but always beheld them as objects of His infinite affection. "The Lord knoweth them that are His," is as true of the prodigals who are feeding swine as of the children who sit at the table. But, alas! we knew not our royal Brother, and out of this ignorance grew a host of sins. We withheld our hearts from Him, and allowed Him no entrance to our love. We mistrusted Him, and gave no credit to His words. We rebelled against Him, and paid Him no loving homage. The Sun of Righteousness shone forth, and we could not see Him. Heaven came down to earth, and earth perceived it not. Let God be praised, those days are over with us; yet even now it is but little that we know of Jesus compared with what He knows of us. We have but begun to study Him, but He knoweth us altogether. It is a blessed circumstance that the ignorance is not on His side, for then it would be a hopeless case for us. He will not say to us, "I never knew you," but He will confess our names in the day of His appearing, and meanwhile will manifest Himself to us as He doth not unto the world. Is Your Wife In This Deeply Satanic Group? Luciferian Transmutation! 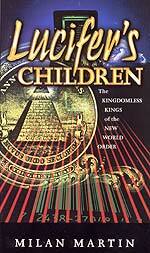 The Coming Global Luciferian Mass And What It Means To You!